Finding cheap car insurance can be tough – especially in a city like Houston, where you really can’t do without a set of wheels. Houston is a notoriously car-centric town, with huge, multi-lane highways crisscrossing the city. It features bumper-to-bumper traffic and commutes that can stretch out to hours. 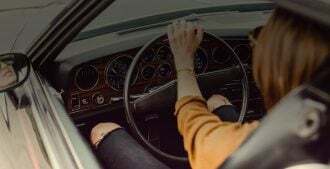 To help you save money, Compare.com researched the Houston auto insurance market to learn where you can find the cheapest auto insurance policies, and how you can find a coverage plan that fits your budget. Insurance companies factor many considerations in the quotes they provide to drivers. Where you park your vehicle and where you live matter significantly in determining your quote. One of the biggest considerations for an area’s effect on auto insurance is its crime rate. We calculated the average annual premium costs for twenty-six Houston neighborhoods and found the average cost in Houston was $918.47. The neighborhoods Lake Houston and Kingwood Area are ranked the safest by Niche.com and held some of the cheapest rates with an average premium of $844.94 and $830.23 respectively. Your auto insurance rate may also be affected by the income levels of the area or neighborhood you live in. West University Place and Greater Memorial are both in the top 10 richest Houston area neighborhoods and also have some of the more expensive premiums we found, at $1317.41 and $965.44 respectively. As you can see, the premium rates vary greatly by neighborhood, with a whopping $716.84 separating the cheapest and most expensive neighborhoods. We compared auto insurance rates across multiple neighborhoods in Houston, to see which ones tended to get the lowest rate. To do this, we built out a test profile. To start, we looked at drivers aged 22 or over, who are either renting or in a single-family home. The drivers we looked at all had clean driving records (no incidents reported) and had proof of prior insurance (a big rating factor for auto insurers.) All drivers we looked at had a Bachelor’s Degree and were only insuring themselves – no additional people on the policy. Lastly, we looked at Liability only plans, under 100/300 BI limits. That means policies insuring up to 100K per person affected by an accident, with 300K for the entire cost of an accident. We didn’t include comprehensive/collision (insuring your car against damage) because that can add quite a bit to the policy’s cost, and can vary wildly depending on the make and model of your vehicle. Cheap Car Insurance in Houston is Hard to Find. Compare Quotes Now! It’s important to keep in mind that there’s a certain amount of coverage that Texas will require you to carry – 30/25/60 is the required coverage in Houston. That means you’ll be insured for 30,000 per person injured in an accident, 25,000 of property damage (the affected driver’s car, typically) per accident, and 60,000 to cover everybody injured in an accident. Above that, any potential liability would be covered by the at-fault driver. From our analysis, car insurance rates will vary quite a bit depending on the person looking for car insurance, determined by your personal details. A car insurance company could be either very competitive or significantly more expensive than other carriers based off your job, home, or years as a licensed driver. For this reason, it’s important to compare rates from multiple companies ever so often. This helps ensure that you’re always going to be getting the cheapest rate for the coverage you need. There are some common car insurance discounts you might be eligible for in Houston. If you’re willing to use a policy auto-pay option, that can shave some money off your plan as well as going paper-free. There are also some common affinity discounts, depending on where you went to college, or if you’re a member of certain citizen groups (if you belong to groups such as Rotary or Kiwanis.) Depending on your employer, there may also be some discounts available. Large employers, such as hospital systems and Fortune 500 companies, often offer employees discounts, as do city and state governments in certain situations. Don’t forget to check out available discounts if you’re a member of AAA. It’s important to understand how your rates are generated if you want to find the best deal on getting your vehicle insured. Read below to find out why you may be paying too much with your current insurer. Houston’s reputation for traffic congestion is sadly, well deserved. Six of the top ten most congested roads in Texas all lie within Harris County, which includes Houston and its surrounding suburbs. W Loop Fwy / IH 610 takes the cake as the most congested road in the entire state of Texas, costing drivers over $100 Million per year in costs associated with congestion. Each year drivers spend over 5 million hours cumulatively stuck behind the wheel. Traffic congestion can contribute to your overall cost of auto insurance. Aside from being a huge pain in the neck, congestion means that you’re going to be spending more time driving on average, and with a higher likelihood of bumper to bumper accidents. In 2016, there were 436,748 reported crashes in the state of Texas. Of all vehicle crashes in Texas, almost 16% occurred in Houston, with 24% of the crashes being fatal or incapacitating and causing injury. Texas had no days in 2016 that did not have an auto-related fatality. Because there are so many accidents that happen in the state of Texas, your insurance premiums are likely to be affected to account for the risk of a potential crash. Houston ranks first in the state of Texas for the most car thefts, accounting for 18.5% of all car thefts in Texas and for 12,738 out of 69,056 total car thefts in 2016. Per Capita, Houston is ranked 17th in Texas for car thefts. Depending on how frequent car thefts are in your neighborhood, insurers might raise your prices if you live in a neighborhood where car thefts are more common. Overall, given the high number of car thefts in Houston, you can expect to pay a little bit more because of this increased risk. Why comparing car insurance is the best way to see if you can save money. 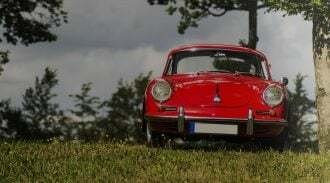 No matter where in the Houston Metro Area you live or whether you drive a small car or special edition truck, Compare.com will help you find the cheapest car insurance quotes. Just enter your information once, pick the coverage level you need, and we’ll provide free custom quotes from several popular companies. Try it out, and see how much you could save!